When winter hits, I always feel I need to change my hair a little, especially making it darker! 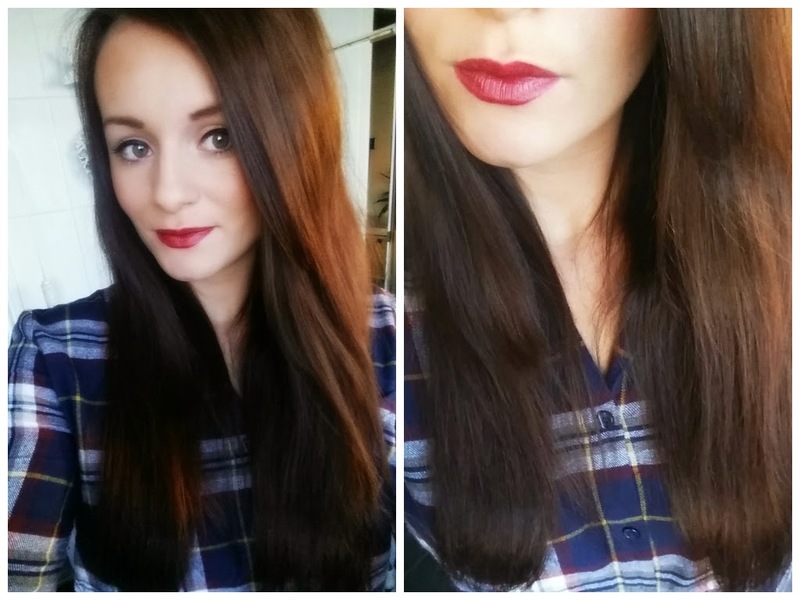 Nothing beats a dark chocolate brown when the weather gets colder. 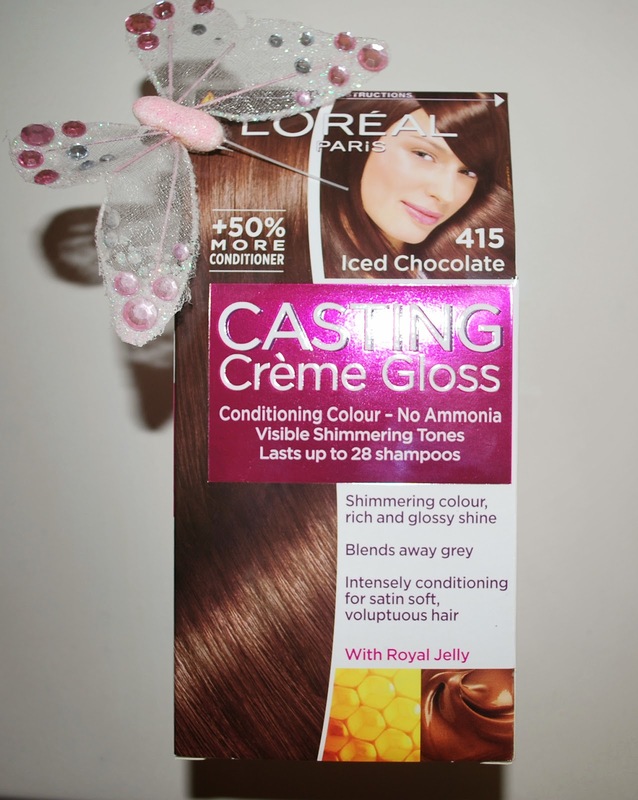 I thought I'd show you what I used on my hair this time around, Loreal Castings 415 Iced Chocolate. I only wanted semi-permanant colour as I haven't dyed my hair in over a year so wanted to keep it in a healthy condition! First of all the scent wasn't as strong as a normal hair dye and it actually smells nice and is easy to apply and as for the colour, I was very happy! It is a medium brown with a slight red tone but still really natural ( it always goes a little darker when it is first done but soon fades and yes, the pictures above look lighter on one side, its just the natural light!) Normally when I change my hair colour it always goes much darker and looks really harsh but the castings didn't do that and left my hair in lovely condition, the small conditioner you get in the box is also amazing, I wish I could purchase this separate! I also got my hair cut, nothing to drastic but since I hadn't had a hair cut in months I thought it was time! My hair has grew so much this year that the layers are nearly grown out, so I got two inches off the bottom, (yes,it was hard to do, that initial thought of your hair getting shorter always takes time to get your head round ha but it needed it!) it looks much thicker and is nearly all one length, I love it, it feels so thick and full! I've always had layers so I am loving this small change. I would definitely recommend this hair colour, I've used so many and this is definitely the best for a great shine and just brings my hair back to life!